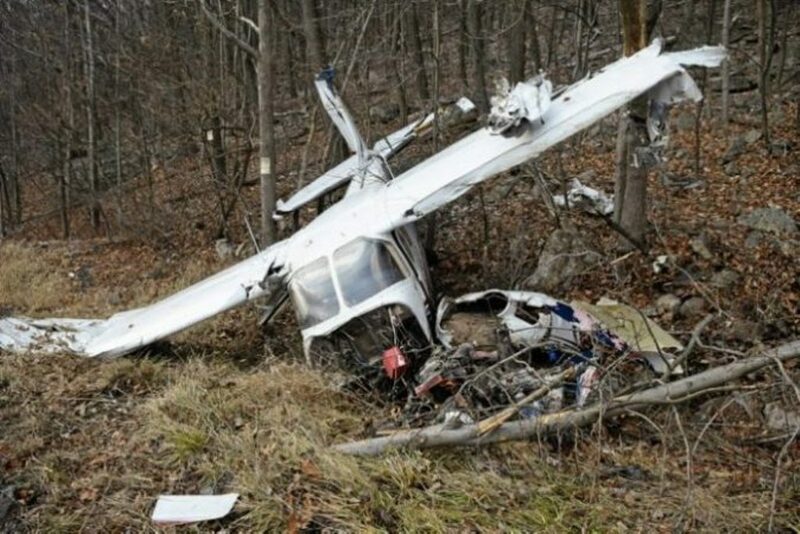 A small Cesna PN210N model plane has crashed yesterday in the Jakupica mountain range in North Macedonia. Authorities said that a Bulgarian family of four was travelling on the plane. The plane was registered in Germany and it was flying from Ohrid to Skopje. The Ministry of Interior announced that it has not yet reached the scene of the crash due to the difficult terrain and bad weather. The fatal accident happened yesterday afternoon at 04:16 pm when communication between pilot and control tower was lost. Authorities say that the crash is believed to have been caused by the bad weather and turbulence.